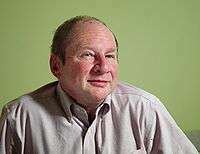 Harold "Hal" Abelson (born April 26, 1947) is a Professor of Electrical Engineering and Computer Science at MIT, a fellow of the IEEE, and a founding director of both Creative Commons and the Free Software Foundation. He directed the first implementation of Logo for the Apple II, which made the language widely available on personal computers beginning in 1981; and published a widely selling book on Logo in 1982. Together with Gerald Jay Sussman, Abelson developed MIT's introductory computer science subject, Structure and Interpretation of Computer Programs, a subject organized around the notion that a computer language is primarily a formal medium for expressing ideas about methodology, rather than just a way to get a computer to perform operations. Abelson and Sussman also cooperate in codirecting the MIT Project on Mathematics and Computation. The MIT OpenCourseWare (OCW) project was spearheaded by Hal Abelson and other MIT faculty. Abelson lead an internal investigation of the school's choices and role in the prosecution of Aaron Swartz by the FBI, which concluded that MIT did nothing legally wrong, but recommended that MIT consider changing some of its internal policies. Abelson holds an AB degree from Princeton University and obtained a PhD degree in mathematics from MIT under the tutelage of mathematician Dennis Sullivan. Abelson has a longstanding interest in using computation as a conceptual framework in teaching. He directed the first implementation of Logo for the Apple II, which made the language widely available on personal computers beginning in 1981; and published a widely selling book on Logo in 1982. His book Turtle Geometry, written with Andrea diSessa in 1981, presented a computational approach to geometry which has been cited as "the first step in a revolutionary change in the entire teaching/learning process." In March 2015, a copy of Abelson's 1969 implementation of Turtle graphics was sold at The Algorithm Auction, the world’s first auction of computer algorithms. Together with Gerald Jay Sussman, Abelson developed MIT's introductory computer science subject, Structure and Interpretation of Computer Programs, a subject organized around the notion that a computer language is primarily a formal medium for expressing ideas about methodology, rather than just a way to get a computer to perform operations. This work, through the textbook of the same name, videotapes of their lectures, and the availability on personal computers of the Scheme dialect of Lisp (used in teaching the course), has had a worldwide impact on university computer-science education. He is a visiting faculty member at Google, where he is part of the "App Inventor for Android" team, an educational program aiming to make it easy for people without programming background to write mobile phone applications and "explore whether this could change the nature of introductory computing". He is the co-author of the book App Inventor with David Wolber, Ellen Spertus, and Liz Looney, published by O'Reilly Media in 2011. Abelson and Sussman also cooperate in codirecting the MIT Project on Mathematics and Computation, a project of the MIT Computer Science and Artificial Intelligence Laboratory (previously a joint project of the AI Lab and LCS, CSAIL's components). The goal of the project is to create better computational tools for scientists and engineers. But even with powerful numerical computers, exploring complex physical systems still requires substantial human effort and human judgement to prepare simulations and to interpret numerical results. Together with their students, Abelson and Sussman are combining techniques from numerical computation, symbolic algebra, and heuristic programming to develop programs that not only perform massive numerical computations, but that also interpret these computations and "discuss" the results in qualitative terms. Programs such as these could form the basis for intelligent scientific instruments that monitor physical systems based upon high-level behavioral descriptions. More generally, they could lead to a new generation of computational tools that can autonomously explore complex physical systems, and which will play an important part in the future practice of science and engineering. At the same time, these programs incorporate computational formulations of scientific knowledge that can form the foundations of better ways to teach science and engineering. 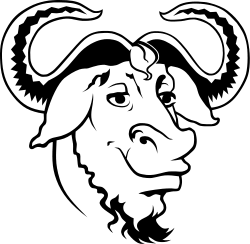 Abelson and Sussman have also been a part of the Free Software Movement, including serving on the Board of Directors of the Free Software Foundation. Abelson is known to have been involved in the publishing of Andrew Huang's Hacking the Xbox and Keith Winstein's seven-line Perl DeCSS script (known as qrpff), as well as LAMP, MIT's campus-wide music distribution system. The MIT OpenCourseWare (OCW) project was spearheaded by Hal Abelson and other MIT faculty. In January 2013, open access activist Aaron Swartz committed suicide. He had previously been arrested near MIT and was facing up to 35 years imprisonment for the alleged crime of downloading JSTOR articles through MIT's "open access" campus network. In response, MIT appointed professor Hal Abelson to lead an internal investigation of the school's choices and role in the prosecution of Aaron Swartz by the FBI. The report was delivered on July 26, 2013. It concluded that MIT did nothing legally wrong, but recommended that MIT consider changing some of its internal policies. Abelson is also a founding director of Creative Commons and Public Knowledge, and a director of the Center for Democracy and Technology. 2011 ACM Karl V. Karlstrom Outstanding Educator Award for "his contribution to computing education, through his innovative advances in curricula designed for students pursuing different kinds of computing expertise, and for his leadership in the movement for open educational resources"
↑ "Creative Commons: History". Retrieved 2011-10-09. ↑ "Hal Abelson – Turtle Geometry". Artsy. Artsy. Retrieved 18 June 2015. ↑ Brian Harvey (2011). "Why Structure and Interpretation of Computer Programs matters". Cs.berkeley.edu. Retrieved 2013-10-06. 1 2 3 "Hal Abelson - Karl V. Karlstrom Outstanding Educator Award - United States – 2011". Association for Computing Machinery. Retrieved 2013-10-11. ↑ Abelson, Hal (July 31, 2009). "App Inventor for Android". Official Google Research Blog. Retrieved August 7, 2009. ↑ Aufderheide, Patricia; Jaszi, Peter (2011). Reclaiming Fair Use: How to Put Balance Back in Copyright. University of Chicago Press. p. 53. ISBN 9780226032443. .
↑ US Attorney's Office District of Massachusetts (July 19, 2011). "Alleged Hacker Charged With Stealing Over Four Million Documents from MIT Network". Press release. Retrieved January 17, 2013. ↑ Smith, Gerry (January 15, 2013). "President Reif writes to MIT community regarding Aaron Swartz,' Source Says". MIT News. Retrieved January 16, 2013. ↑ Smith, Gerry (January 15, 2013). "Anonymous hacks MIT sites to post Aaron Swartz tribute, call to arms' Source Says". The Washington Post. Retrieved January 16, 2013. ↑ Hal Abelson (July 26, 2013). "Report to the President: MIT and the Prosecution of Aaron Swartz" (PDF). Retrieved 2013-08-02. ↑ "Taylor L. Booth Education Award". IEEE Computer Society. Retrieved March 28, 2011. ↑ "SIGCSE Award for Outstanding Contribution to Computer Science Education". SIGCSE. Retrieved June 21, 2012. ↑ "Blown to Bits: Your Life, Liberty, and Happiness After the Digital Explosion". Amazon.com. Retrieved 29 September 2013. Wikimedia Commons has media related to Hal Abelson. This entry was initially based on an autobiography by Hal Abelson, posted on his website and used by permission.